Joan has worked with animals all her life. As a child animal lover she started rescuing critters at the age of ten. 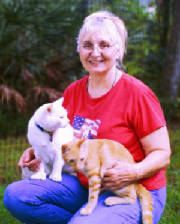 Former founder of Metro Cats in San Jose California she moved her nine rescued cats and moved to florida in 2005 and began Wildwood Ranch Cat Rescue , then formed an official non profit The Cat Resource Center Inc, in 2014. Denise is a legal secretary. 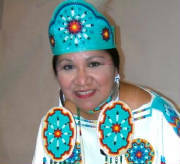 She is involved with her American tribal ancestry and continues to participate in her heritage events. She has a lovely singing voice and sings at church. Denise is also co-founder of a non-profit Christian organization- Saturn1 Space Shuttle Museum and simulator.